Brodies lawyers are listed more times in WWL’s editions than any other Scottish firm, and were selected 20 times across 14 practice area publications in total. 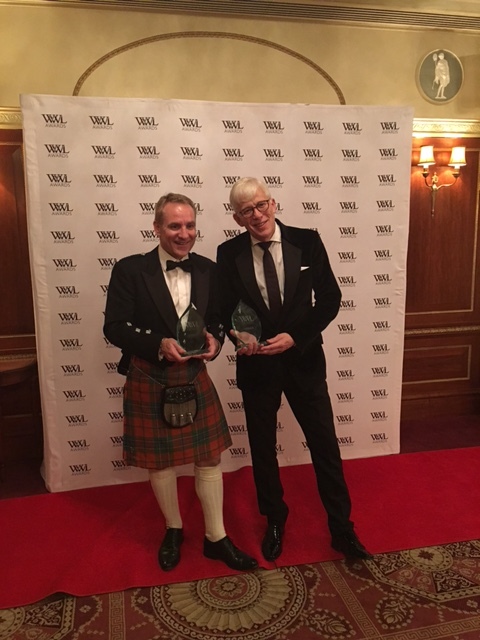 The winners were announced at a black tie awards ceremony at Plaisterer’s Hall in London, where the leading lawyers and firms from 35 practice areas and over 50 countries were recognised. The winners are selected on a range of factors, including feedback received from clients and peers in the research process, past performance in the research and the overall aggregate number of weighted votes cast in their favour. Who’s Who Legal lists only the leading lawyers in each field, based exclusively on the findings of an independent six-month research process that encompasses feedback from private practitioners, clients and other experts in the sector. It is impossible to buy entry into the publication, only the lawyers who score most highly according to our independent international research criteria are listed. The books are distributed free of charge to thousands of corporate counsel and private practice lawyers from around the world, and the information is also available on www.WhosWhoLegal.com and is updated daily. Who’s Who Legal is strategic research partner of the American Bar Association (ABA) Section of International Law. In 2012, Law Business Research – the parent company of Who’s Who Legal – was recognised for the second time by The Queen’s Award for Enterprise in the area of international trade. These awards are the most prestigious a British company can receive.